When contemplating Patagonia, not many people think of the movies – even though there’s a surprising assortment of films about the region, some of which I’ve already covered in this blog. For the moment, though, I’d like to bring up the origins of Chilean cinema, which owe a great deal to its remotest region. 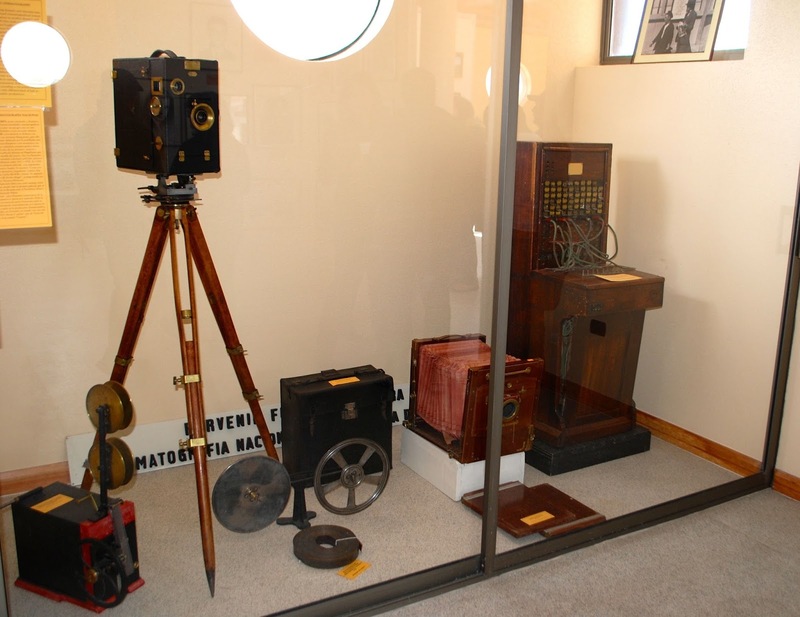 In the town of Porvenir, across the Strait of Magellan from the regional capital of Punta Arenas, the renovated local museum exhibits vintage film-making equipment (pictured above) and pays tribute to German-born José Bohr (born 1901, pictured below), who came south as a child and started his career by filming local newsreels. From his first newsreel in 1919, his career spanned half a century, ranging from Tierra del Fuego to New York, Hollywood and Mexico. 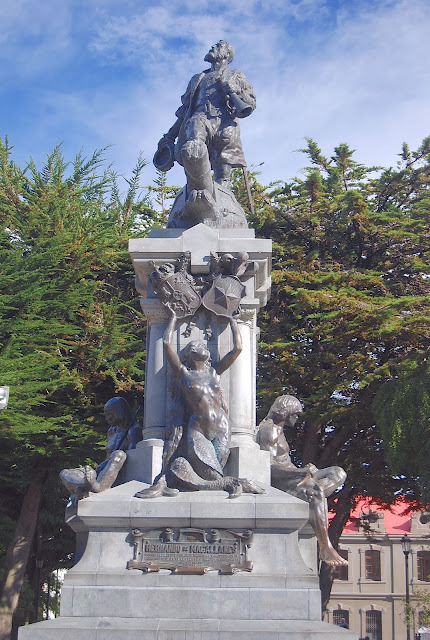 Bohr’s first major effort, El Desarollo de un Pueblo (The Development of a People, 1920), also known as Magallanes Ayer y Hoy (Magallanes Yesterday and Today), coincided with the 400th anniversary of Magellan’s voyage to the Strait that now bears his name. Having ordered his cameras other gear from Valparaíso by telegram, the audaciously named “Bohr & Ivovich Patagonian Film Company” persuaded local dignitaries to subsidize the project. In the process, he and his partner Esteban Ivovich went everywhere in the region including the “extraordinary Fuegian fjords, the glaciers, the ranches, and the mansions of the moneyed.” Among those moneyed was José Montes, who occupied an elaborate home (pictured above) – now housing municipal offices – that still adorns Punta Arenas’s central Plaza Muñoz Gamero. Bohr shot the arrival of many visiting dignitaries, including Prince Ferdinand of Bavaria representing the Spanish King Alfonso XIII. The prince was there for the dedication of the Plaza’s monument to Magellan (pictured below), and the film attracted nation-wide attention. Bohr, though, soon went to Argentina and then Broadway to act in musicals, and then starred in Hollywood’s first Spanish-language film, Sombras de Gloria (Shadows of Glory) in 1929. 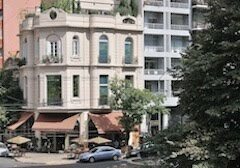 In the early 1930s, he went to Mexico and then returned to Chile a decade later, where he became president of Chilefilms, a state-run company eventually privatized in the late 1980s. Some of Bohr’s later work is available on Youtube but, unfortunately, the early newsreels are not. 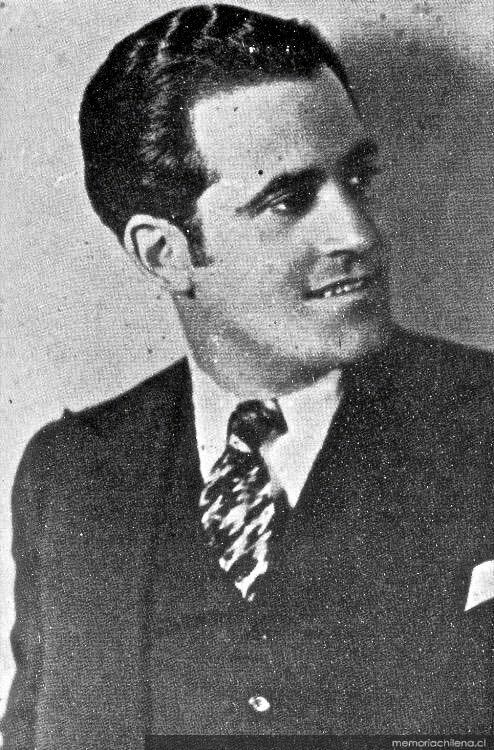 Still, as a composer, he wrote a hymn to the city of Punta Arenas, where the Teatro Municipal José Bohr remains a testament to his influence in Patagonia and beyond. Prince Ferdinand was part of the incestuous European royalty of that time. His mother was Spanish. Remember also that the British Mountbattens were Hessians who changed their family name from "Battenberg." Sure, but my question was more in regard to Germans in southern Chile. My bad. 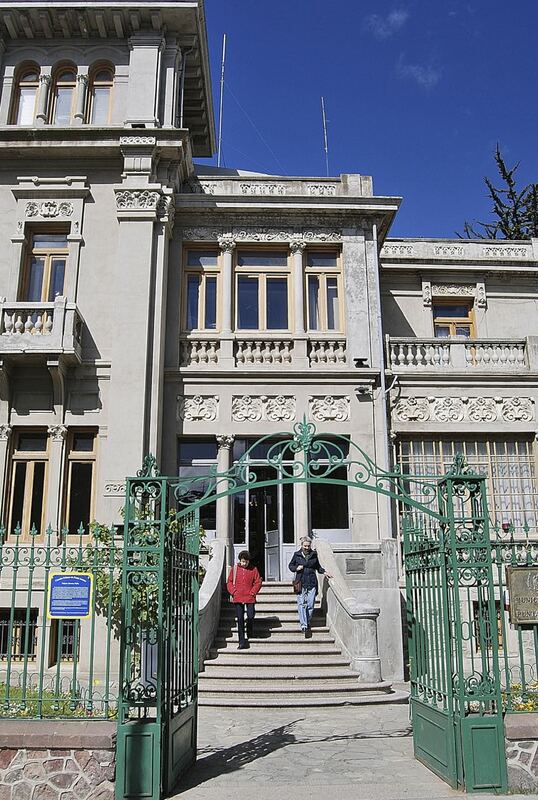 Lots of Croatians came south to Patagonia, and the Kirchner were Swiss immigrants on the Argentine side. Most of the Germans in Chile, though, located around the southern lakes district after the mid-19th century, between Temuco and Puerto Montt. The German Immigrants arrived in the Lakes district in 1853 as a national colonization project, these settlers founded what today is Puerto Varas and Puerto Montt. From these territories they also crossed the Andes and founded cities like Bariloche in Argentina. I have followed your Facebook and Twitter feeds, José Manuel. I am also a dog person. Thank you very much Wayne! Will do the same. I live here in Puerto Varas and work as a Audiovisual Producer and also as a Sailboat Captain. In a few days I will publish an article about Puerto Varas, the Calbuco Volcano and Bariloche. We are currently editing the video. I'll send you a link once it's online. Can Soccer & the Pope Cause Border Issues?